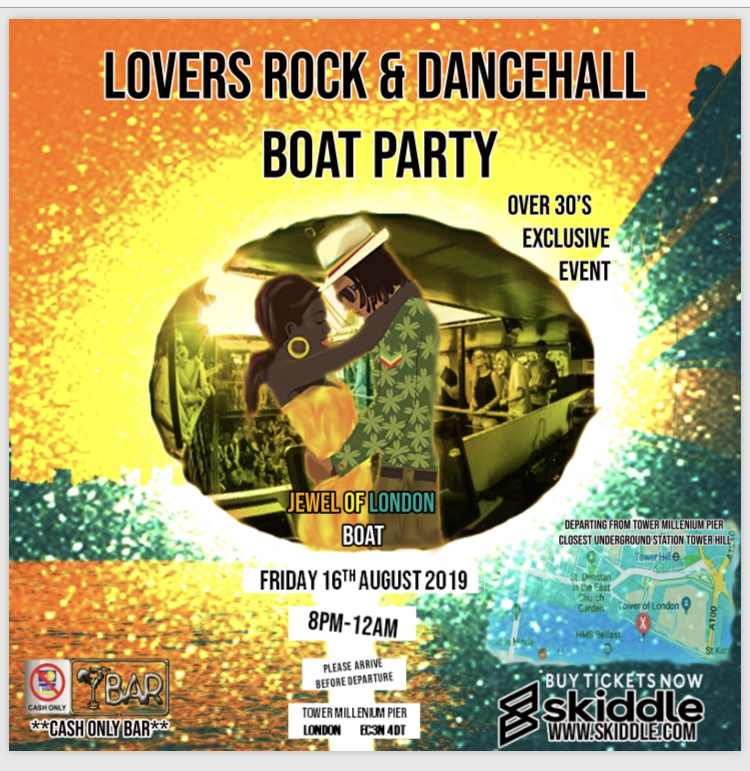 Over 30’s Lovers Rock and Dancehall Boat Party. Bringing back a wide range of old school tracks and rhythms. Come along for a laugh, drink and a touch of Nostalgia! Guaranteed to bring you back. Setting sail from Millenium Tower Pier. You can watch the sunset, cruising ‘round the Thames on this hot summers day. 8pm SHARP, until 12AM. Arrive on time to avoid disappointment. 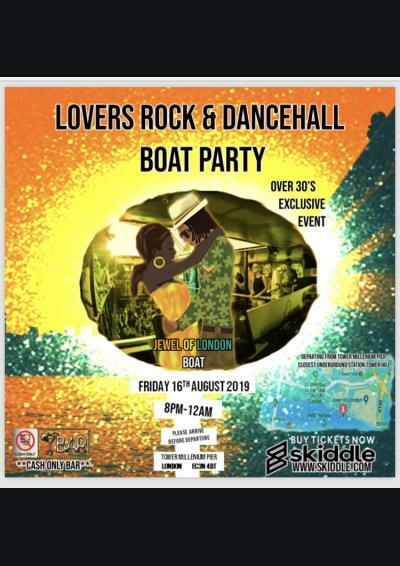 Over 30’s event, special circumstances for age may apply, contact us.